The weather in Hong Kong couldn't be more perfect for rooftop drinking than right now - during the day, it's sunny but with a gorgeous breeze, and at night, it's balmy enough to crack out the ugly Christmas sweaters. The crew from The Rooftop Guide have been to more than 500 rooftop bars in the last two years. When they visited Hong Kong, they came across some of the best spots they ever seen in the world. Here are their top five favourite rooftop bars in Hong Kong (and for a full list, check out their website here). One of the fanciest rooftops in Hong Kong. When entering the luxurious terrace, you’ll get a mighty view among the skyscrapers looking out over Kowloon and Victoria Harbor. The cool thing here is the proximity to the high-rise buildings, which reminds you of how small you are in comparison. The terrace is quite large, and comes equipped with lounge sofas and lots of seating. Make sure to book a table in advance if you want to spend time in the lounge area. Top Tip: Dress for success...otherwise you can be denied at the door! If you love a good view, this is the perfect place to visit. Here you’ll get a fantastic view of almost every part of Hong Kong. Mountains, check. Victoria Harbor, check. Kowloon's skyline, check. Glimpse of Happy Valley, check. The décor on the terrace is quite simple, but gives off a luxurious vibe. Order some snacks and a couple of rounds of drinks, and you can sit here for hours just enjoying the beautiful views. Top Tip: For 30% off drinks and free tapas, head on over between 3:30 - 7:30 pm. If you want to enjoy the best brunch in Hong Kong at the highest peak in the city, Ozone is the place to be. This is the world’s highest rooftop bar located at the 118th floor, at an altitude of 480 meters, making it the 8th highest building in the world. Make sure to book a table at the Sunday brunch to score yourself free flow Dom Pérignon, fantastic food, and a classy atmosphere. The view from here is so grand that you’ll be stunned when you head out to the outdoor terrace! Top Tip: Drinks here don't come cheap, so savour every sip! A modern and luxurious rooftop with premium views of the Kowloon skyline and Victoria Harbor, which offers an awesome view, tasty cocktails, and a fantastic atmosphere. This is the perfect spot for some afternoon drinks. Settle down in one of the comfy lounges and let the bartenders serve you some delicious cocktails while you enjoy the view and the harmonious atmosphere. Top Tip: Rooftop bar is walk-in only, so make sure you get there just before peak hour kicks off. 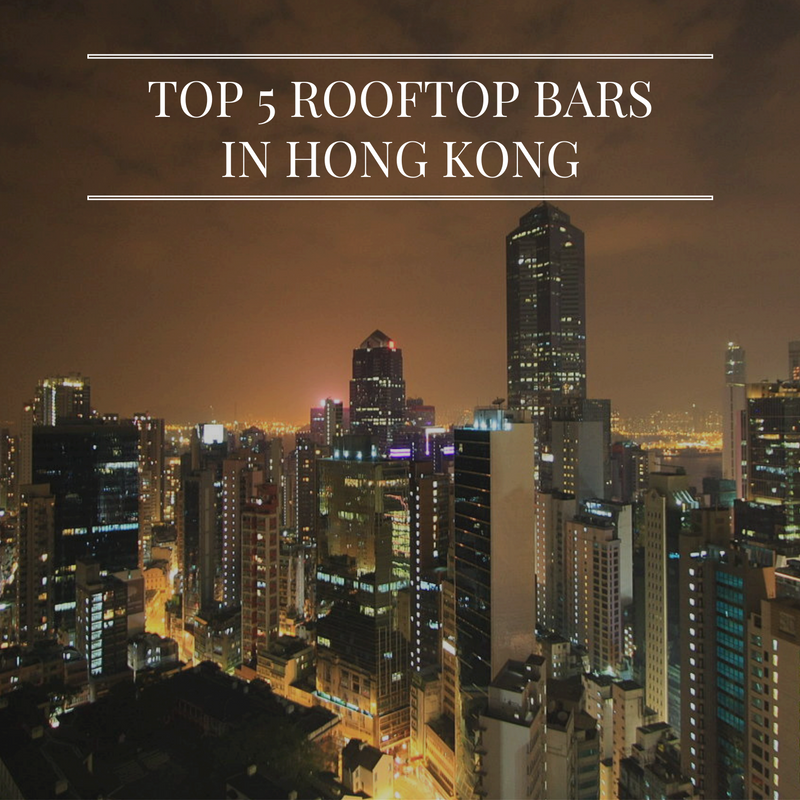 If you want the best skyline view of Hong Kong island (one of the most iconic skylines in the world), Eyebar is the rooftop to visit. Eyebar is a high-quality seafood restaurant with an amazing terrace. Unfortunately, while you can’t eat on the terrace, the drinks and the view will be more than enough to impress your date. Top Tip: Make sure to come here in the late afternoon during sunset- this is also the time when the city lights up in a spectacular way as darkness falls! Amazing post and pictures. I like Ozone at the Ritz-Carlton.